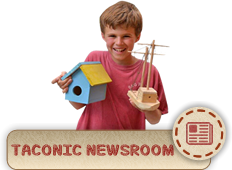 At Camp Taconic, the program is diverse, exciting and designed to keep all of our campers engaged well into their teens. Our emphasis is to provide excellent, hands-on instruction and meaningful opportunities to enable campers to challenge themselves. 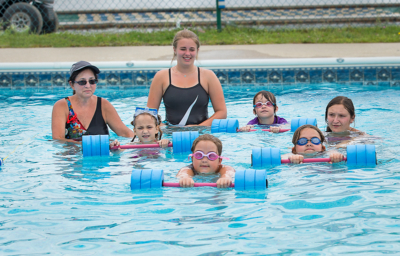 Initially, our younger campers are introduced to a well rounded schedule of activities. As our campers get older, they develop their individual interests and skills, and we gradually tailor their program to fit their needs. Camp is structured into three divisions: Lower Camp, Children entering 2nd through 5th grade; Inter Camp, Children entering 6th through 7th grade and Upper Camp, children entering 8th through 10th grade. Campers live in cabins grouped with other children in the same grade. Boys and girls in lower camp follow a well structured program offering one elective period each day. They travel by bunk to each of their scheduled activities accompanied by their general counselors. The activities are instructed by our dedicated staff of specialty counselors experienced in those skills. They enjoy a well-rounded program experiencing all the traditional activities and still have the opportunity to try new things like waterskiing, circus arts, horseback riding and the high ropes adventure course. Campers are encouraged to sample different activities while improving their skills in ones that are more familiar. Our Inter Camp children have both choice and structure to their days. 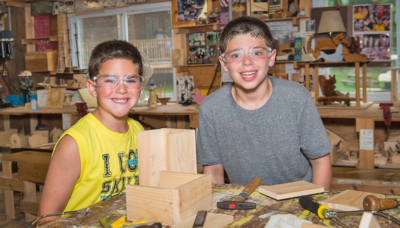 For about half of the day, Inter Campers travel as a bunk and an age group while the other half of their time is devoted to elective activities that they have chosen before camp begins. Instruction in swimming, team sports, tennis and boating are some of the activities that are required for this division. Of course, our program directors are available to adjust campers’ schedules as needed. Our oldest campers design their own schedules, w ith the help of their parents, before arriving to camp each June. They design their program to fit their individual needs. These campers have developed their own interests and skills, and need the flexibility to fulfill their particular goals and wishes. Whether one wants to focus on a specific athletic, creative art, performing art or aquatic pursuit, a schedule will be created with that camper in mind. This program is offered to rising juniors and seniors in high school. It is designed to teach our own campers how to become great, future counselors. This group experiences the best of both worlds. As assistants, they are paid a stipend and have days off. 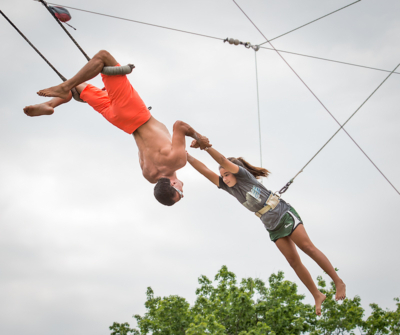 As campers, they are encouraged to hone their skills by participating in activities.